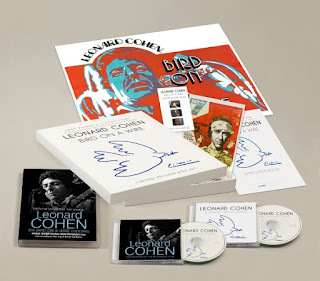 Leonard Cohen in Concert 1972 - Unseen Footage and Sound Recordings From Legendary 1972 Tour Rediscovered! Concert material from the concerts in Stockholm, Paris and the Albert Hall, with Cohen at the height of his powers performing “Marianne,” “Susanne,” “Joan of Arc,” “The Story of Isaac” and many other songs, is now being restored and edited together by Tony Palmer, who shot the original material. These releases will act as a companion recordings and film and will all add considerably to footage of the early part of Cohen's career. For which there is an increasing need since, apart from the film “Bird On A Wire,” there is comparatively little widely available. CD1 – Best of Live Recordings by Tony Palmer at various venues.